A captivating handmade silver and 18ct gold ring set with brilliant cut brown diamond. A stunning piece of modern jewellery. 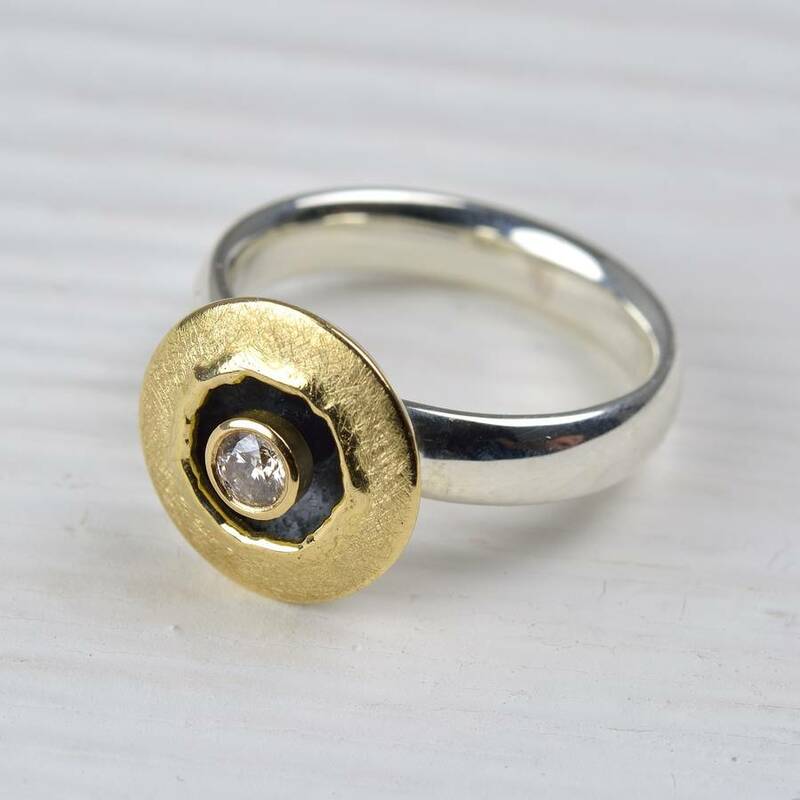 A special ring, perfect for the discerning jewellery lover. The brilliant cut brown diamond is beautifully framed by the fused edges of 18ct gold and an inner oxidised silver bowl. The design is influenced by the jewellery styles popular in the artisan goldsmiths of Europe. It can be worn for special occasions or everyday. 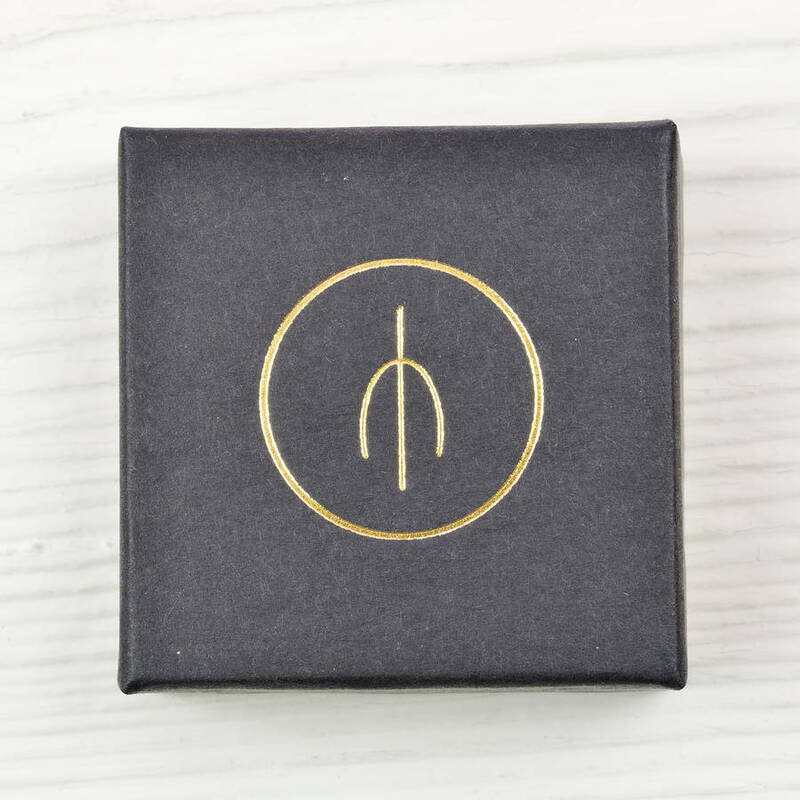 It would make a very special anniversary, christmas or valentines gift or a wonderfully indulgent gift to yourself. 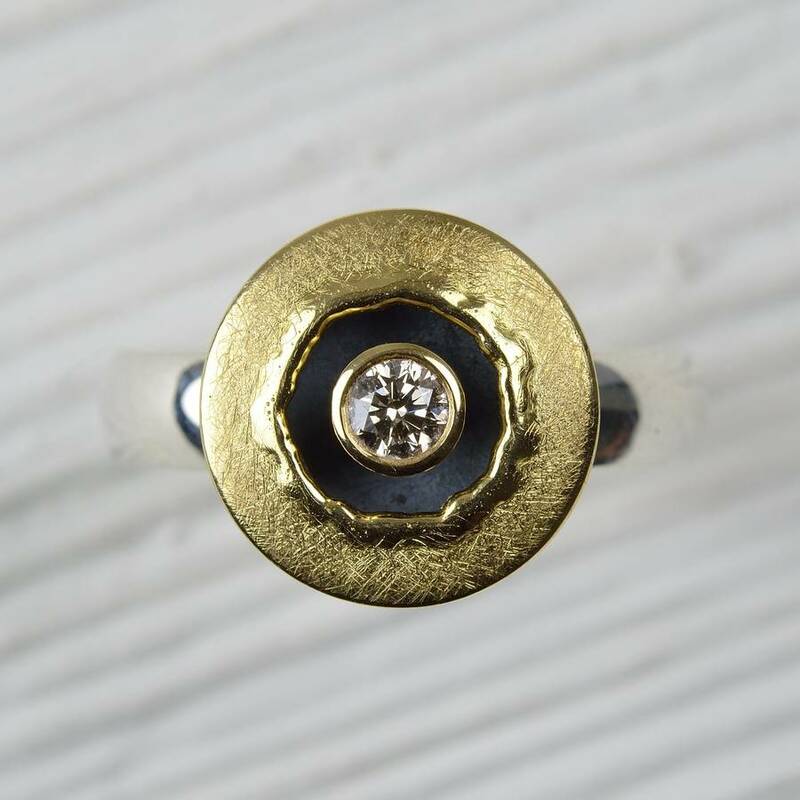 The ring was made entirely by hand using traditional goldsmithing methods. It is made from Sterling silver and 18ct gold and set with a high clarity 0.27 carat brilliant cut natural brown diamond. Jewellery can be cleaned using a toothbrush and soapy water. Ring size: O+, but I can resize it if required. Just get in touch by clicking the 'ask seller a question' button prior to purchase. The diamond measures 3.5mm in diameter. The ring shank is 4.2mm wide and 1.9mm thick. The central domed piece has a diameter of 13.5mm.